The home improvement star said she was mocked for how she looked and even ate lunch in the school bathroom. 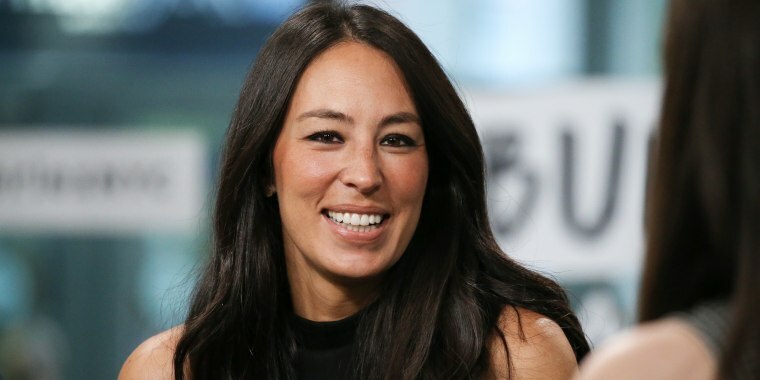 Joanna Gaines is one of the two biggest names in home improvement — the other being her husband, Chip — so these days, it's hard to imagine the "Fixer Upper" star being anything other than wildly popular. But back in her school days, life was a lot different. In an interview with Darling magazine, Gaines recalled the isolation and mockery she faced as a child and shared how it shaped her as a parent. "I don’t think confidence has ever really been one of those things that came naturally for me," she said. "If people thought I was confident, it was really just the way I masked my insecurity, because I didn’t want people to really get to know the real me." "My mom is full Korean and my dad is Caucasian," Gaines continued. "Kids in kindergarten would make fun of me for being Asian, and when you’re that age you don’t know really how to process that; the way you take that is, 'Who I am isn’t good enough.'" While the interview was originally published in 2016, Darling resurfaced it this week, and the "Fixer Upper" star's story is being shared widely online. As Gaines tells it, by the time she reached high school, she felt truly separated from her peers. "My sophomore year I was the new kid at a high school in Texas, and I had never been a part of a school that big," she said. "My parents told me, 'Walk in. You’ll make friends like you always do,' and I just remember walking in and … I just did not know what to do with myself." Fear of being rejected prompted her to remove the risk by removing herself from the situation. "In the lunchroom everyone was a blur and I was thinking, 'How do people do this? How do you find that one person to sit with?' So I literally walked in the lunchroom and walked out and went into the bathroom," Gaines remembered. "My fear and my insecurities just took over, and I felt like I’d way rather sit in the stall than get rejected." Now the mother of four (with No. 5 on the way!) wants to make sure that history doesn't repeat itself — not for her children, or any other kids they encounter. "I discovered that my purpose was to help people who are insecure because I didn’t like the way it made me feel," she said. "In that stall, that’s not who I am." So she tells her kids Drake, 12, Ella, 11, Duke, 9, and Emmie, 7, to always reach out to an ostracized kid when they see one — because she was one. "I always tell my kids to look for that kid on the playground who’s not playing with anybody, to go reach out, ask them their name," she said. "To look for the kid in the lunchroom who isn’t sitting by anybody, be their friend." As for that insecure girl who once existed inside her, Gaines says she's long gone. She's found her confidence and a new appreciation of her own attributes. "As I am getting older the idea of beauty is very different for me," she said. "Yes, I am getting gray hairs and wrinkles, but I feel more beautiful now because I know I have a great purpose. I know I’m meant to raise my children well, to love my husband well, and to help others in their home. When I do these things, that’s when I feel beautiful."